After two decades of ports, reverse ports, remakes, sequels and localisation, the original Japanese indie horror hit Corpse Party is getting an official English PC release this month. Need more quirky stories about haunted schools and death? Here are the best indie games on PC. The game sees you and some school chums dabble in the occult as a joke and accidentally end up in a ghost school full of dead students and teachers and stuff. Who could have predicted such a thing, honestly. You roam around picking up name tags of the deceased and trying to piece together what happened with a branching narrative. There are far more ‘bad ends’ than good, and almost all result in your own grisly murder, so it’s one for the horror fans for sure. The original voice acting is in, with English subtitles, and an additional four bonus chapters on top of the five main story chapters to play through. In the years since Corpse Party’s original RPG Maker release in 1996, the game has spawned a mass of mixed-media franchise additions. 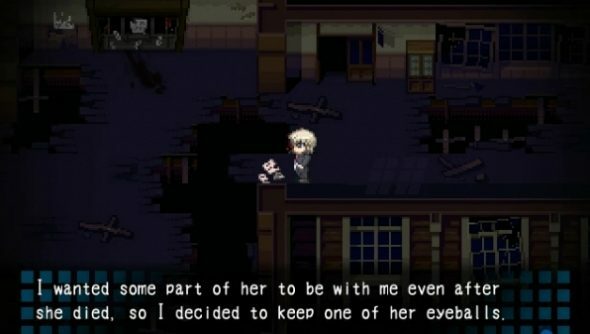 One of the more popular continuations of the cult game’s lore, the PSP game Corpse Party: Book of Shadows (itself turned into a manga, drama CD, light novel, web radio show and amusement park attraction) is honoured by an exclusive re-telling in this PC release of the “Tooth” story from Episode 7. Publishers Xseed Games have pegged the game at $14.99 to be released through GOG and Steam on April 25.